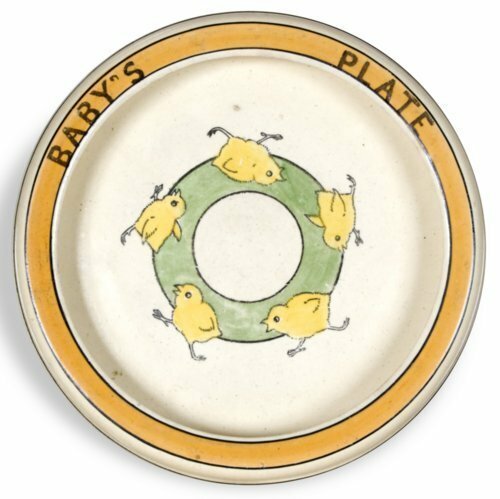 This child's creamware dish with five yellow chicks was produced by the Roseville Pottery Company. The rolled edge design prevented spilling. Roseville introduced a juvenile pattern line in 1910, using animal motifs and nursery rhymes.